Our Moab grip is inspired by the unique petroglyphs, beautiful red rock and two national parks that exist in Moab, Utah. 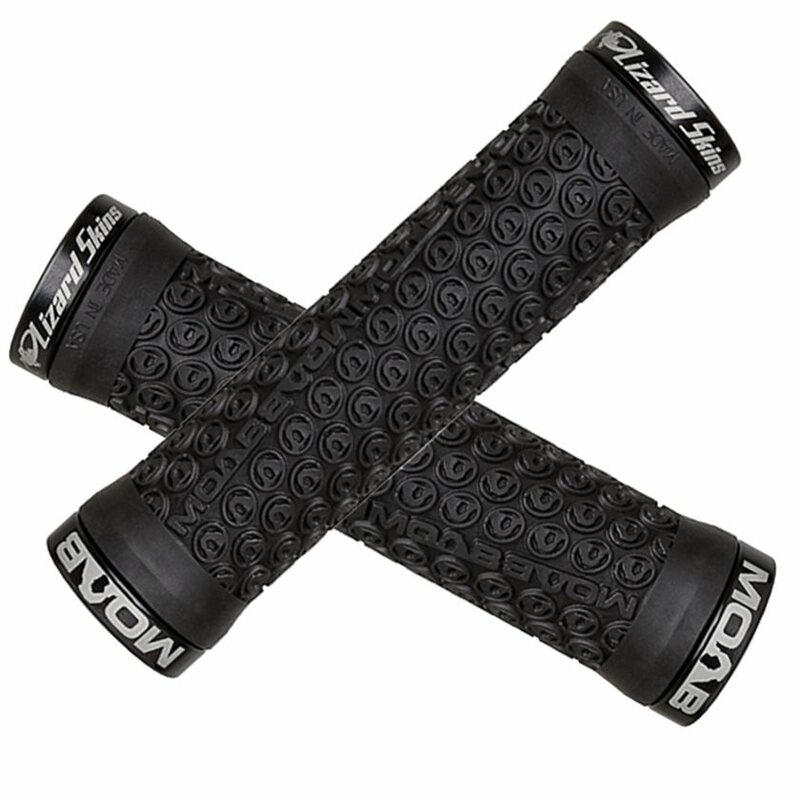 The Moab grip has a raised texture and works well for those who want a thin grip. Lock-on grips include the grips, clamps, screws and plugs. 130mm in length. I love the MOABs as pictured here, and was so excited to see them as the style changed at least 2 years ago. I ordered a pair for each bike. What I got were the new ones that I could have bought from my LBS without waiting a MONTH to get. This is not a strike against Lizard Skins, but a HUGE strike against Jenson for false advertising. I've been getting Moab grips for many years now. They might have changed the pattern, but the quality of the grips are still great. The ODI lockrings really keep the grips in one place. The grip compound itself mixes a good amount of durability and grippy compound. After 20+ hours of use they are still even sticky to the touch. Great for people who don't have monster hands. Simple lock on grip with good style and various colors to coordinate with accents. My first lock-on grips. Purchased these to replace the original rubber grips on my MTB. Very easy to install. The metal end caps scratch pretty easily when your bike falls over on concrete, so I don't recommend doing that. Grip is comfortable with or without gloves.